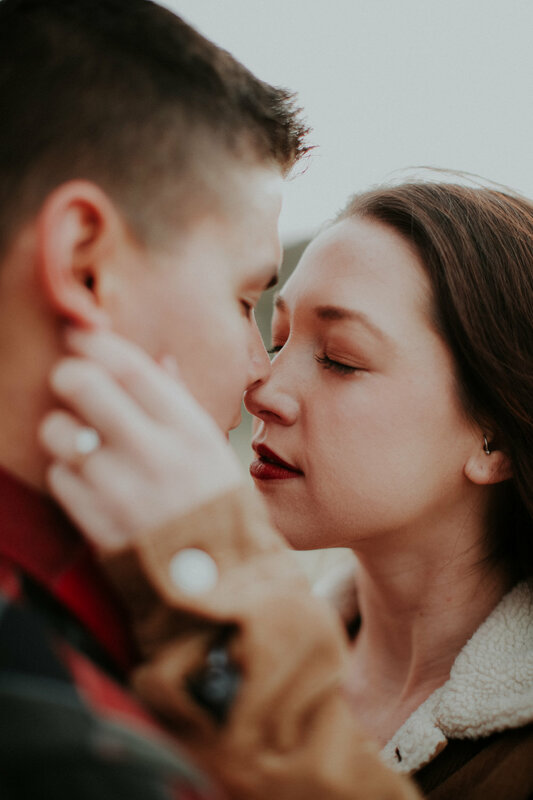 From our very first email I knew that Kaylee + Michael would be just the adventurous, daring couple we love photographing so much. They braved the windy desert air like total champs! Not going to lie- my fingers were completely numb fifteen minutes into our session. True story. I am a complete wimp when it comes to cold weather. Kaylee and Michael, on the other hand, danced and ran through the wind like it was nothing but a summer breeze. It was certainly an adventure to remember. Prior to our engagement session, Alex and I grabbed coffee with Kaylee and Michael. 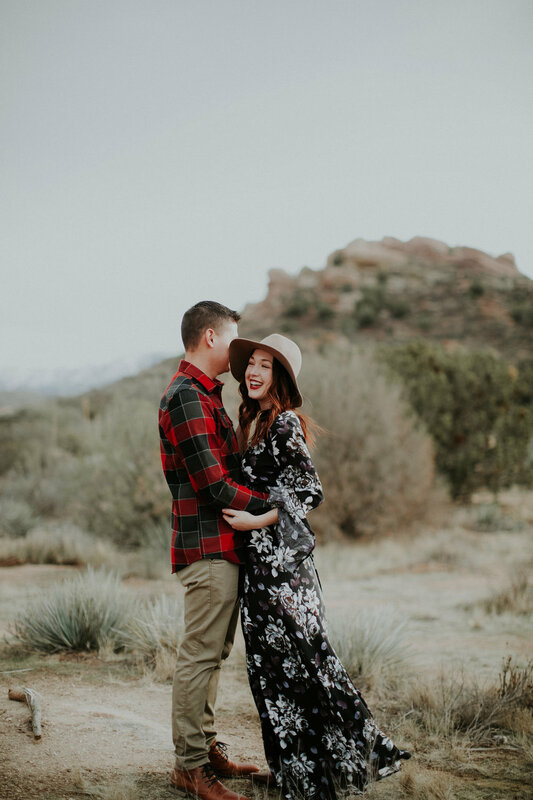 I quickly learned that Kaylee and Michael both love the desert, coffee, and exploring their city-Los Angeles. Kaylee also is a blogger (JustKaylee.com). You guys, her style is absolutely adorable and her blog is worth a look! I also learned that we all went to the same high school, but never knew each other. Isn't it a crazy thing how paths seem to cross later on in life? 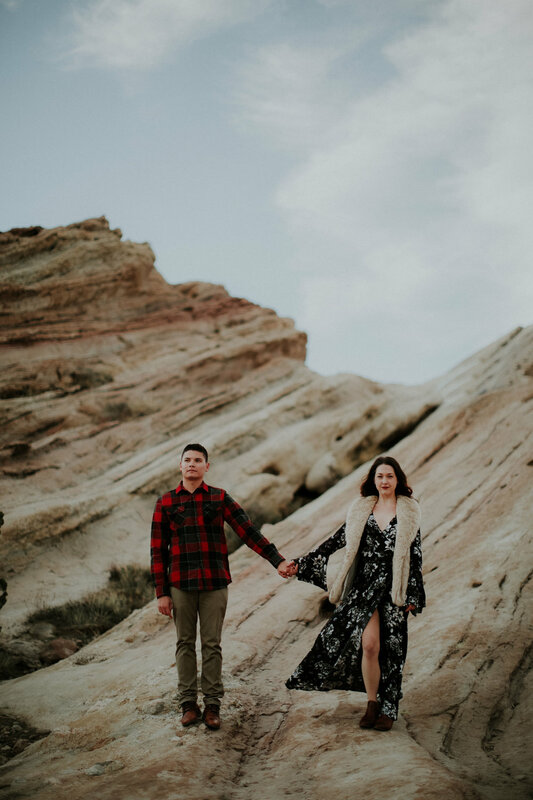 With their Southern Californian, bohemian wedding approaching, Alex and I are mentally packing by bags because we can hardly wait to photograph Kaylee and Michael's wedding day. June, please hurry up! !